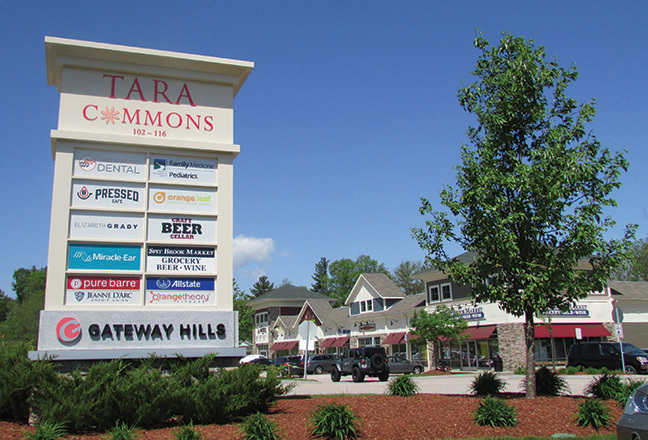 Tara Commons is a 34,765 SF Retail & Medical Office Center in Nashua, NH at the entrance to Gateway Hills and directly on Spit Brook Road. 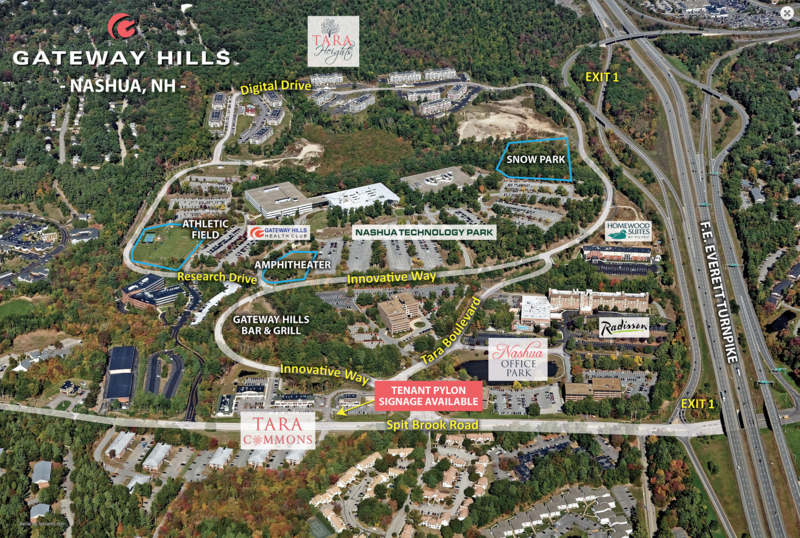 Less than one mile from the NH/MA state line and only 1/4 mile off of the Exit 1 ramp, Tara Commons is comprised of a drive-through credit union, 19,000 SF of retail and 15,000 SF of medical and professional offices. 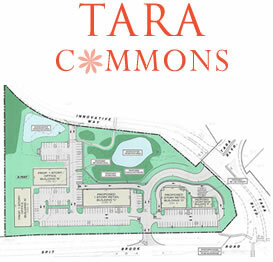 Tara Commons is 95% leased with current tenants including Southern NH Health System, Pure Barre, Greenwood Dental, Pressed Cafe, The Polished Man, Allstate® Insurance, Craft Beer Cellar, Spit Brook Market, Elizabeth Grady Salon, Miracle-Ear Hearing Aid Center, Orangetheory Fitness and Jeanne D’Arc Credit Union.